Kenneth G. MacKendrick is Associate Professor of Religion at the University of Manitoba. Evil begins with the assumption that evil is a concept related to context. This means that we should not expect to find shared or similar notions of evil across cultures. Evil is contextually bound. To address this issue, this book approaches the issue not with a moralizing conception of evil, as is usually the case, but with a more global and cross-cultural definition: evil redescribed as dangers and aversions (things that cause harm, things to avoid). Dangers and aversions are not only cross-cultural but can readily be detected in the natural world. This heuristic definition is an excellent starting point for discussing evil in the study of religion. Redefining evil broadly as dangers and aversions allows us to redirect emphasis away from locative concepts of evil (e.g. the devil, wickedness, a diabolic will) to attitudes and practices around the world that share family resemblances (e.g. rituals of purity and impurity, notions of clean and dirty, expressions of disgust, and so on). The chapters in this book reflect on the cultural and cognitive foundations of evil (dangers and aversions) and include discussions concerning classification, myth, ritual, emotions, and morality. It concludes that our contemporary conception of evil as related to the moral domain is a social cognitive by-product of a particular historical and cultural context, a context illuminated by means of cross-cultural comparison. Introduction to the Problems of Evil provides an overview of evil as a moral phenomenon; justification for re-describing evil as dangers and aversions; discussion of dangers and aversions. 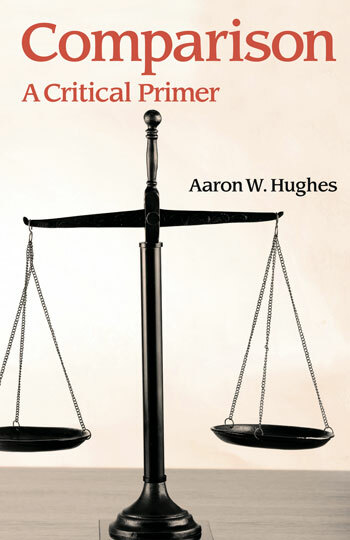 Classification provides an overview of the power of classification and the relation of classification to dangers and aversions; key thinkers include Mary Douglas, Jonathan Z. Smith, and Bruce Lincoln; ethnographic examples will be drawn from Cantonese funerals, Maori cosmology, and Protestant purity debates (U.S.). This chapter will also include a discussion of “magical thinking” as the backbone of classificatory thinking. Rituals and Symbols provides an overview of Maurice Bloch’s understanding of rituals and ritualization; ethnographic examples will be drawn from Bloch’s work (Malgasy), evangelical witnessing (U.S.), Muslim daily prayers in Turkey, and the Spanish exhumations. Myths and Mythmaking provides an overview of myth and mythmaking drawing on the work of Russell McCutcheon and Bruce Lincoln; examples will be drawn the UFO incident at Roswell, and narratives of supernatural assault (Australia), Sati tradition in Rajasthan, and (possibly) the novel Dracula. Strong Emotions provides an overview of the relevance of emotions to culture and cognition; ethnographic examples focus on disgusting in relation to horrific representations of the feminine in Buddhist hagiography and shame in relation to rural Turkish conceptions of sexuality and procreation. Morality provides an overview of the difference between moral philosophy and moral psychology; a methodological objection to moral psychology; outline of the difference between moral philosophy and the aforementioned proposals regarding the study of dangers and aversions versus moral evil (mainly focusing on the difference between first person and third person perspectives). Key thinkers: Jürgen Habermas, Seyla Benhabib. Conclusion discusses future prospects for the study of evil and religion.